The Clean Water Company supply and fit Water Filters, Water Coolers and Fluoride filters into homes and businesses throughout Ireland & Europe. These superb filters are currently sold and used in over 150 countries worldwide. They are used daily by Embassies, Unicef, Oxfam and League of Red Cross. Our drinking water filters also provide clean, safe drinking water to millions of households everyday. After finishing my education in Dublin my main interest was always in the environment and in particular the quality of our drinking water. When the opportunity came up to work for an Irish Water Filtration Company I jumped at the chance. However I always felt that the product I was selling was too expensive and not right for the Irish market. I moved on to Spain to work with Europe’s leading water filtration company, they were using the Doulton system, not only was it a fraction of the price it was actually a better system in that it removed all harmful bacteria, chemicals, metals etc. but it did not remove the essential minerals and does not require maintenance except a filter element changed every 6 months. After a lot of hard work, research and development I came home to Ireland and started the Cleanwater Company. My mission is to supply and fit this superb filter all over Europe, with a lifetime guarantee and a first class after sales service. To date the feedback from customers has been 100% positive, please read client testimonials. Doctors say we need to drink in excess of 2 litres of water per day to remain well hydrated. Quality is highly variable: it comes from multiple sources. It has variable levels of contamination. It is treated with chemicals. 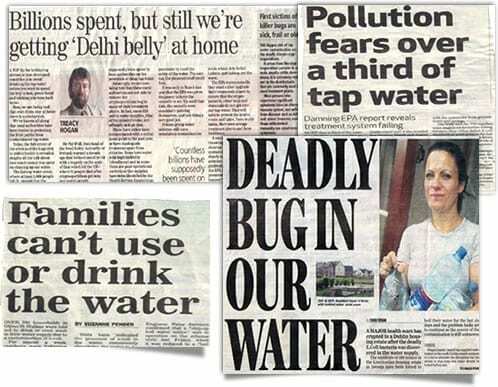 Irish tap water supplies regularly breach EU quality standards. Vegetables lose most of there nutrients when cooked in tap water. It has to travel through rusty old pipes before it reaches your tap. Lead can leach in from lead pipes in older houses and lead solder used to join pipes in newer house. Even very small quantities are harmful. It generally does not have a pleasant taste or odour. It is extremely expensive (more expensive than petrol) mainly due to packaging and transport. It has variably quality, depending on the source and the company producing it. Once unsealed it can become a breeding ground for bacteria and algae. This is a common problem with office water coolers, especially if they are in direct sunlight. Plastic bottles are bad for the environment. By definition, Bottled water is not on tap! “Offensive to the sight, disgusting to the imagination and destructive to the health. This was how London drinking water, which was drawn from the Thames, was described in a pamphlet published in 1827. The Thames was heavily contaminated with raw sewage; cholera and typhoid epidemics were rampant. Doulton were perfectly placed along the river Thames to deal with these problems 1835 Queen Victoria recognized the health dangers in her drinking water and commissioned Doulton to produce a water filter for the Royal household. In consideration of her pleasure with the new device, Queen Victoria bestowed upon Doulton the right to embellish each of its units with the ROYAL CREST. She was so happy with her filter Henry Doulton was knighted in 1877. Expensive, removes minerals, wastes water, takes up a lot of much needed space, uses electricity. 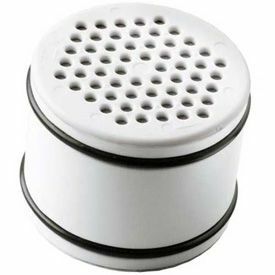 Our Ceramic under sink water filters are are long lasting, self-sterilising and use 100% natural elements for filtering. 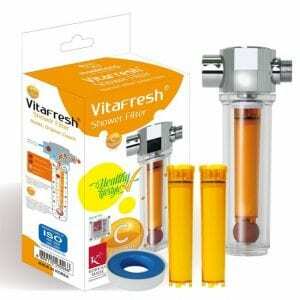 The filter does not remove essential minerals from water that are beneficial to health. We offer a wide range of office coolers and water dispensers which use state of the art water filtration systems so you can ensure your staff have safe and healthy drinking water whilst in the work place. 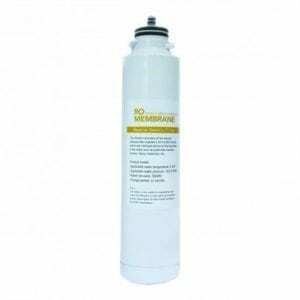 Reduce water usage on typical softeners by 40%. Each cycle of the softener has been optimized to reduce water usage and these softeners meet the requirements for water efficiency. Our water supply has been supplemented with fluoride for years, despite the fact that controversy still rages about its safety. Countless studies point to evidence that it can be dangerous to your health. All Doulton® ceramic filter elements are manufactured under strict ISO conditions. They have the highly consistent and controlled pore structure necessary to provide genuine sub micron water filtration. Check out our full range of water filtration products, water filtering solutions and aftercare which are designed to give you the freshest and healthiest clean drinking water possible in Ireland. If you want to improve your water filtering system, and your health, then contact us today!